The Association is coming off a very successful meeting on the Big Island and we are already working hard on next year’s meeting in Puerto Rico with the Italian Society for Surgery of the Hand featured as the guest organization. 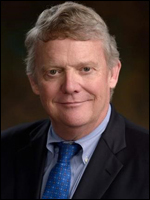 Warren Hammert as program chair is putting together an excellent educational program, and we plan to have several new panels and interesting speakers. The venue at El Conquistador resort is spectacular and we are anticipating another superb meeting. Since last summer the Board has been working on a new strategic plan, which includes the pillars of International Outreach, Innovative Education, Member Value, and Awareness/Recognition. Our Outreach program is well-established with our support of multiple programs in the Americas and overseas, but we want to build on this. In terms of innovative education we are working on several areas, but among these are webinars, including the one in collaboration with the AAOS and ASES on ”Elbow Tendinopathy” on April 4. In terms of Member Value we are attempting to get more feedback from our members in terms of what areas the membership see of value via polling and we are exploring different vehicles to deliver value and education. In the area of Awareness/Recognition we are in the process of developing multiple ways of communicating with our members and others including social media. I certainly look forward to this year and feel that the Association continues to make significant strides in terms of our programs and member value. I would be happy to hear from any of the membership with any thoughts or suggestions that you may have and I look forward to working with everyone to have a great year. The Board of Directors of the Association looks forward to hosting the 2018 Annual Meeting at the El Conquistador in Fajardo, Puerto Rico. The Association leadership has been closely following the developments related to the Zika virus in Puerto Rico for well over a year. Preparations for the 2018 are now under way and the leadership encourages members and attendees to seek information and travel-related advice on the Zika Virus on the CDC website, the El Conquistador website as well as other media sources. Information on the 2018 Annual Meeting can be found on the AAHS website. The AAHS Research Committee is pleased to announce the application for the 2018 AAHS annual research grant will launch in early June 2017. The 2018 grant for $10,000 is available to clinicians and therapists in private or academic practice for small clinical studies focused in hand care, or for pilot studies leading to a more major hand care study. Grant applications are judged not only on scientific merit, but also on whether the project can realistically be completed in 1 year and on the quality and practicality of the budget. All AAHS members and applicants for membership are eligible to apply. There may be up to 3 co-investigators on a project and at least 1 of the investigators MUST be an Active or Affiliate AAHS member. See additional, detailed instructions. As the aims for the Research Committee are to help facilitate research as well as mentor young investigators, for the 2018 funding application cycle, members of the Research Committee have volunteered to make themselves available to serve as mentors to grant applicants. Mentorship by a Research Committee member is not required to apply, but encouraged to help make each grant application as strong and competitive as possible. Interested applicants can email contact@handsurgery.org at any time prior to or during the application process to be appropriately matched with a Committee member mentor. Be sure to include information about your project and specific areas in which you are interested in mentorship. 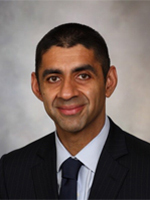 Dr. Sanj Kaker is an orthopedic surgeon at Mayo Clinic Rochester and the recipient of the 2017 AAHS Annual Research Grant for his work "The effect of hamate osteotomy on carpal kinematics." To learn a bit about his experience and interest in research, the AAHS Research Committee conducted a short interview with Dr. Kakar. 1. How did you hear about the grant? I heard about the grant through the annual meeting and also from the AAHS website. In addition, several of my friends and colleagues have received a grant from the AAHS and recommended it to me. 2. What did you think of the grant process? I thought the grant process was smooth and efficient. 3. How will this experience help you obtain future funding? The grant is critical in providing seed funding such that we can carry out studies that will hopefully generate meaningful preliminary data. Without such funding, it’s nearly impossible to generate such data and will always be grateful to the AAHS for supporting us. 4. Are there other grants you pursued? Yes. We are looking at applying for a NIH grant. 5. When did you know you wanted to pursue a research career? From a very early stage in medical school. I was very lucky to study under the tutelage of two wonderful clinician scientists in London, namely Professor McGrouther and Bentley. They instilled into me at an early age the importance of translational research and how it can impact patient care. 6. Who is your inspiration or mentor? In addition to Professors McGrouther and Bentley, I am fortunate to have trained under some brilliant clinicians and scientists. I would truly like to thank them all for everything they have taught me. In particular, I’d like to acknowledge Drs. Einhorn, Gerstenfeld, Berger, Garcia-Elias, Stern and Seitz for their mentorship, teaching and friendship and to whom I owe everything to. 7. What has been the greatest challenge you have had to overcome in pursuing a research career? To ask the right scientific question and staying committed to answering it. 8. What is the best career advice you have received? To surround yourself by people who have the same passion and desire. Their thirst for knowledge is contagious and by working TOGETHER, you’ll have fun along the way and hopefully perform meaningful work. It is with great pleasure that I present the current edition of the AAHS Newsletter. The annual meeting was a great success. In particular, I would like to highlight the Vargas Award Presentation. This year’s recipient was Aviva Wolff. There is an amazing video that describes the great work being performed by the Guatemala Healing Hands Foundation. Lynn Bassini stated the importance of the mission to the Guatemalans: “Why hands? A lot of Guatemalan’s don’t have much education, so their only option is to become manual laborers. Without their hands, they can never make a living.” The organization wants to allow Guatemalans with hand problems to become productive members of society. Surgical treatment and reconstruction is just one aspect. Therapists work to provide splinting, education, and exercises to ensure the success of the surgical procedure. 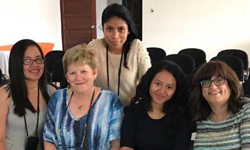 The volunteer therapists also go to great strides to educate the local therapists and have established the Guatemalan Hand Therapy Association. The therapists provide daily workshops at the hotel with the goal of educating and building the skills of the local therapists. The Guatemala Healing Hands Foundation wants to promote changes in the culture that will allow long term growth and success of the community. The biggest concern is education. Guatemalan children are expected to attend school until 6th grade, but most don’t get past 4th grade. This is mostly due to the inability to afford school supplies. The children instead are expected to work to help support the family. 25% of Guatemalans nationally are illiterate, but as high as 60% are illiterate in indigenous locations and the majority are female. The Guatemala Healing Hands Foundation aimed to reverse this trend and started by sending kids to a neighboring town for 7-9th grade. However, the group noted that the children had to walk a long way to go to school. Therefore, the foundation decided to build a new school in Chichoy. The school was so successful that kids from other villages started to come to this new school. Children are now sponsored to be music teachers, carpenters, engineers. This has given the children and families in Chichoy a new outlook on life. The transformation in Chichoy has become an example to other towns in Guatemala to focus on education to make a difference in the future of Guatemala. Jay Talasania said, “We spend 10 days here performing surgery and treating people. What we take home is more important.” I encourage everyone to watch the video and consider serving and/or donating to this wonderful outreach opportunity. Contact Guatemalahealinghands@gmail.com for more information. 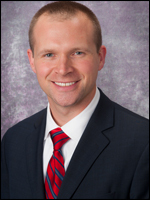 “Meeting in the Middle”, a combined Webinar from the AAHS, ASES and AAOS presented by hand surgeons (AAHS) and shoulder surgeons (ASES) who specialize in challenging elbow problems. Surgeons from both of the two specialty societies will offer case based presentations demonstrating innovative approaches and treatments for common elbow tendinopathies including distal biceps, distal triceps, as well as medial and lateral epicondylitis. After the webinar, participants will 1) understand operative indications for partial tears of the distal biceps tendon, 2) learn techniques for operative repair of the distal biceps tendon and the distal triceps tendon, and 3) identify specific aspects and symptoms of medial and lateral epicondylitis that warrant operative intervention. This webinar is generously sponsored by Arthrex. 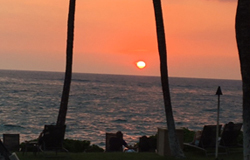 The 2017 American Association for Hand Surgery’s (AAHS) annual meeting in Waikoloa, Hawaii was an outstanding educational event for Hand Therapists. It was a perfect combination of joint sessions with the hand surgeons, special curriculum for hand therapists, and a venue that provided unsurpassed weather and natural beauty. Hand therapists and hand surgeons typically attend separate continuing education meetings. 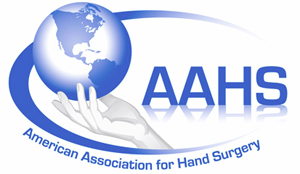 The AAHS meeting provides predominantly joint sessions that allow therapists and surgeons to experience the entire spectrum of hand care for the mutual benefit of both disciplines. The large variety of excellent vendors added to the educational experience for the participants. Terri Wolfe, OTR/L, CHT Past Senior Affiliate Director at Large was co-chair of the meeting and moderated a therapy panel titled: Mysteries of the Wrist: What's New, What's True and What Can Therapists Do, with Aviva Wolff, OTR, CHT, EdD and Julianne Howell, PT, MS, CHT. This panel included treatment for the always challenging TFCC and STT as well as other ligament injuries. A second therapy panel titled: National Strategies for Quality Improvement and Safe Practices in Therapy (Hand Therapy Managing in The ACA World) was moderated by Joy MacDermid, BScPT, PhD with Gregory Pitts, MS, OTR/L, CHT and Jeanine Beasley, EdD, OTR, CHT, FAOTA. This interactive panel reported on the type of data that is important with the Affordable Care Act related to specific conditions. The AAHS Annual Meeting Dinner Dance was held in an exceptional venue on the Lawn of the Hilton Waikoloa Village Hotel under the stars with not only perfect weather but an amazing band, delicious food, and great networking. Peter Murry MD, AAHS President and co-chairs Mark Rizzo MD, and Terri Wolfe welcomed the participants who danced the night away. 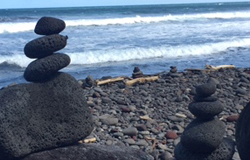 The island of Hawaii also provided a host of late afternoon and evening activities for the participants including golf, snorkeling, whale watching, luaus, lava eruptions, and helicopter rides. The AAHS meeting was a meeting to remember. See you at the next meeting in Las Croabas, Puerto Rico, January 9-13, 2018. 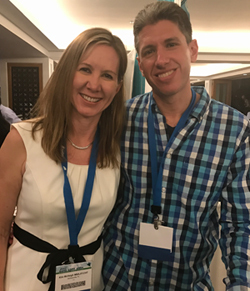 Kim McVeigh, MBA, OT, CHT, AAHS Senior Affiliate Director at Large with ASHT President Gary Solomon MBA, OTR/L, CHT at the AAHS annual meeting in Hawaii. 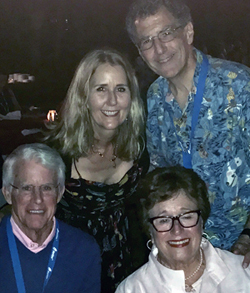 Cynthia C. Ivy, OT, OTD, MEd, CHT, Peter Amadio MD, Dr. Michael Wood MD, and Mrs. Wood at the AAHS Annual Meeting Dinner Dance. Through the generous support of the American Association for Hand Surgery (AAHS) and Hand Surgery Enowment (HSE) Vargas award, I was afforded the opportunity to participate in the Guatemala Healing Hands Foundation’s (GHHF) 11 th mission to Guatemala this past November. 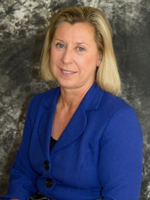 GHHF was founded by Lynn Bassini, in an effort to improve the quality and availability of health care, specifically for the treatment of congenital and hand injuries through education and clinical care. Lynn is a source of endless inspiration and a true embodiment of humanitarianism at its best. On November 1st, after 18 months of hard work and planning, the volunteer group lead by Lynn and Mona Lipson departed JFK International airport with 42 bags of medical supplies and donations. Volunteers from Canada and other parts of the US brought additional supplies and met up with the group in Guatemala City. Over the course of 12 days: 53 children were operated on, 95 hand therapy patients were seen, 70 orthotics were fabricated and over 250 local clinicians participated in educational conferences and workshops. Throughout the 12 days, a well orchestrated, coordinated and multifaceted approach was executed to fulfill all aspects of the GHHF mission: Education, Clinical Care (therapy and surgery), and Community Development. Over 200 local physical therapists, students, and surgeons attended the bilingual 11 th International Congress of Hand Surgery and Therapy in Guatemala City on November 4th. The resulting success is credited to the joint efforts of the talented speakers and the co-sponsoring organizations: GHHF, AAHS, HSE, The Touching Hands Project, Integra Foundation, Asociacion Guatemaltica De Cerugia De La Mano, and Asociacion Guatemaltica De Terapeutas De La Mano. This year‘s program was titled: Peripheral Nerve Injury: Innovations in Surgery and Therapy. I participated in the program that was composed of lectures and panel discussions delivered by surgeons and therapists. We covered a wide range of topics including nerve compression syndromes, nerve trauma, brachial plexus reconstruction, and thoracic outlet syndrome. In addition to the congress, I taught at several of the daily educational workshops and orthosis labs at the hotel. These smaller sessions were designed for local therapists and students to attend, and learn about specific conditions. Topics addressed this year included TFCC Injury, Thumb Anatomy and Biomechanics, and Extensor Tendon Injury. Participants had the opportunity to fabricate wrist, thumb and relative motion orthoses. One morning was also devoted to patient cases, where participants presented cases to therapists for guidance and discussion. Additionally, one volunteer member of our group, Dr. Paul Velleman, a well-known Cornell Statistician, gave a lecture on interpreting medical literature at the Herrera Llerandi Hospital. I also spent several afternoons during the week teaching students and therapists with seasoned professor extraordinaire, Dr. Susan Michlovitz, at the Hospital Centro Medico. We covered the anatomy of the upper extremity and hand therapy evaluation techniques, and conducted a palpation lab. An important note: Returning volunteers found that local students and clinicians were more knowledgeable than on previous visits, demonstrating both the efficacy of the GHHF interventions and educations programs, and the importance of consecutive missions to the same location to reinforce this information. Screening day took place at the Moore Pediatric Center. Although this was probably the longest and busiest day of the trip, it was extraordinarily efficient, well organized and productive. We set up an assembly line fashion of stations (Triage screening, photo-imaging, surgical consult, anesthesia, medical clearance, scheduling, etc. ), while non-medical volunteers entertained and played with the children. I was one of the escorts assigned to assist patients and their families to navigate through the stations, providing me with a crash course in congenital hand anomaly management, and surgical decision making. I also received a lesson in Guatemalan patience, grace, and charm. In all, over 120 patients were screened, and 53 booked for surgery. 8 patients required bilateral intervention, and 95 patients were scheduled for hand therapy treatment sessions. A wide range of cases were seen including various congenital anomalies (such as syndactyly, polydactyly, radial club hand, cleft hand, amniotic band syndrome, madelung’s deformity), burn contractures, and deformities secondary to trauma and malunion. Clinical care was provided at various sites throughout the city over a 5-day span. Surgery was performed daily at the Moore Pediatric Surgery Center. A large group of physicians, nurses, and non-medical volunteers ensured the 3 operating rooms were setup and running smoothly and efficiently all week. Therapists saw scheduled patients at the Moore Clinic for evaluations, home instruction, and orthoses. I had the opportunity to fabricate soft post-operative splints for syndactyly releases, and a wide range of post-operative orthoses. I received another crash course, this time in creativity and improvisation by utilizing available supplies, mostly scraps and cast-offs from our first world clinics. Language translational services were provided by a group of outstanding local college students, ensuring that home exercises and post-operative care instructions were well understood. Therapists also visited 5 additional hospitals and clinics (Roosevelt Burn Center, University Clinics, IGSS, Roosevelt Hospital, San Juan de Dios) where they consulted on patient cases throughout the week. This provides an opportunity for joint problem solving with local practitioners, demonstration of techniques and splinting skills, and discussion of treatment progression. 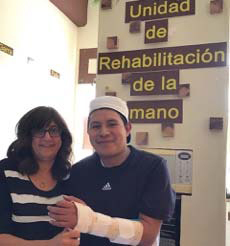 I had the opportunity to visit both Roosevelt Hospital, and a private hand clinic run my Marta Beatriz Pineda, PT. At both sites, therapists presented cases to me and Dr Sue Michlovitz for consultation and discussion, including a hand transplant patient. The graciousness, eagerness and thirst for knowledge by the students and clinicians made a striking impression. We were all impressed with the level of skill and knowledge of the local practitioners, who have clearly incorporated knowledge learned from previous missions into their practice. Several years ago, GHHF adopted the village of Chichoy Alto, a small impoverished community in the mountains, with little connection to the outside world. Over the years, GHHF has been addressing the needs of Chichoy by building latrines and stoves, and funding and building a school for the children. Through GHHF individuals sponsor education past 9 th grade for targeted children to attend technical school. This year the project was to build new desks for the new school renovation. 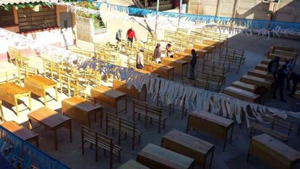 50 double wide desks were built for the students by non-medical volunteers, and with the help of local children and adults. On a personal level, I want to acknowledge and express my gratitude to the AAHS and HSE for affording me this opportunity. The Vargas award is a gift that keeps giving. In 1998, Lynn Bassini was awarded a Vargas award and travelled with Alan Freeland to Venezuela. That trip was the inspiration for GHHF now with 11 completed successful missions. Each mission builds on the work of the previous missions. Each mission leads to new initiatives identified by participants and locals that give birth to additional projects. Each mission inspires countless volunteers to continue to forge ahead and educate, teach, and make tangible changes and real differences. I thank the Vargas committee for this gift, for enabling me to experience this wonder and contribute in a small and impactful way to this very large and powerful endeavor.